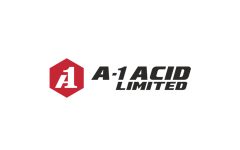 A1 Acid IPO Overview - A1 Acid is engaged in the business of trading of high quality industrial acid and Chemicals. The company offers a wide range of chemical products which find variety of applications in the industrial sector like chemical, textile, steel, aluminium, pesticides, fertilizers, intermediates, defence, metals and petro refineries. The company also provides transportation facilities to its customers through owned fleet of tankers. Currently, the registered and correspondence offices of the company are situated at Gujarat. It has two godowns/warehouses both are located at Gujarat and one branch office located at Rajasthan. A1 Acid IPO allotment status is now available on Cameo Corporate Services' website. Click on this link to get allotment status.